St. Marks will again be a part of the Delaware Christmas Parade at 3:00 PM on November 22nd. 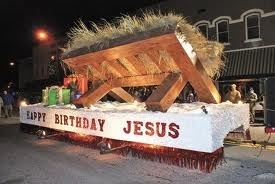 Parade gathers at Mingo Park, where we will pull a hay wagon with a living nativity. Candy will be bagged at the church on Friday November 20th at 6:00 PM, to be passed out on the parade route. Please join us for these fun events!